The use of technology to provide cost-effective behavioral healthcare is emerging as a crucial aspect of treating a wide variety of behavioral health problems. However, many behavioral health providers lack the knowledge and skills necessary to effectively integrate technology-based behavioral tools into their practice. 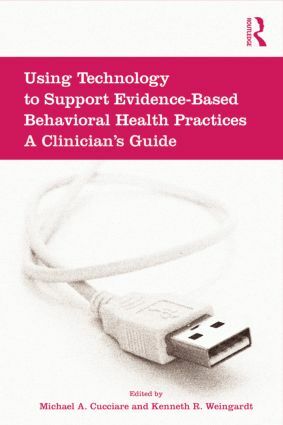 In Using Technology to Support Evidence-Based Behavioral Health Practices, the authorshelp providers implement technology-based behavioral health practices in various healthcare settings and with various mental health disorders.Divided into two parts, the text first addresses specific disorders or problem areas, then presents issues concerning implementation and evaluating such tools in clinical practice and important ethical issues to consider when doing so.